Myself and a small band of awesome ladies (and my husband, Mike) are hard at work prepping our second series of narrative podcasts, Heyer Today, focusing on the fabulous author Georgette Heyer who we personally feel has not had enough time in the spotlight (we’re working on this!). You might have heard me mention – oh just once or twice – that one of our guests on Heyer Today is Stephen Fry (yes, THAT Stephen Fry! ), who is a huge GH fan. Well guess who else is a GH fan, and who I got to interview this week? Joanne Bloody* Harris, most well known for her book Chocolat (made into a sumptuous movie with Juliette Binoche, Johnny Depp, and Alfred Molina). She was an absolute delight, and I could have spoken to her for hours about our favourite Heyers. I wish I could magically fast forward all the hard work so I could give it to you all now, but alas, I must earn a living as well! Bah. Who needs to eat and put a roof over one’s head?? 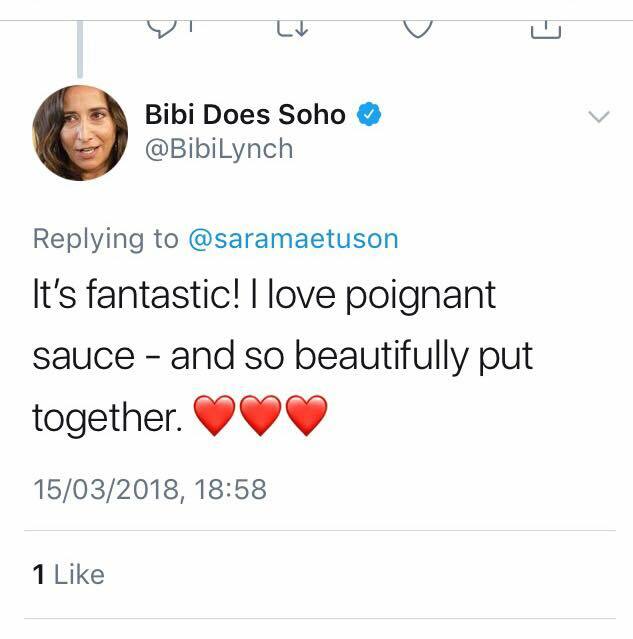 Look, we won’t even pretend to #humblebrag – I’m going to straight up brag that The Sugar Baby Confessionals, our first podcast series, has been getting some great reviews including from the wonderful writer and broadcaster Bibi Lynch(whose credits include Stella, Shortlist, The Guardian, Elle, Stylist, Marie Claire and Psychologies, Metro, Telegraph Men, Guardian Lifestyle and MSN… just to name a few) and Rob Crossan (travel, lifestyle and disability writer for GQ, Telegraph, Sunday Times, Tatler, Daily Mail,, Country Life, etc.). Episode 6 is almost here, so if you haven’t given it a listen yet, then be sure to subscribe on iTunes and take a listen from the beginning. Not an Apple user? You can also find the podcast on Stitcher, Libsyn, or wherever you like to get your podcasts. It’s also REALLY helpful for us if you rate and review the podcast, as that increases our exposure. You can also help us spread the word by sharing the podcast on your social media channels. Every bit helps! Keep checking in for updates, and follow us on social media for more updates, bonus content, musings, and more.